Hunters Estate Agents and Letting Agents Darwen are independently owned and part of the fastest growing estate agency network in the country. This gives our customer the perfect balance of service, you can instruct us knowing that your local branch has hard working owners that combine their expert local knowledge with the support of a forward thinking national company that uses its resources to provide the highest quality creative marketing, latest industry technology changes and a first class training academy to provide our staff with important industry qualifications and necessary skills required to deliver the first class service you expect. We have Highly Successful Teams covering Darwen & Blackburn for all your Property Sales and Lettings Requirements. "We are constantly using technology and media to enhance how we promote our clients’ properties to give them the best chance of sale. We combine this with first class customer service and communication with our clients". 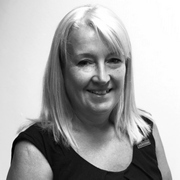 Residential Sales - Led by Karen clients are in first class hands, "I know the Darwen market inside out. Our customers know that they have vastly experienced professionals that will guide them through the sales process". 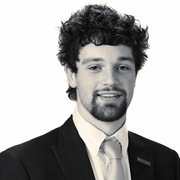 Matthew Allen is one of our experienced valuers and carries out valuations in both Darwen & Blackburn. Our dedicated and dynamic sales teams are made up of negotiators Leah Berry, Linda Lambert, Maxine O’Hare and Ellie Baxter. Hunters Darwen Lettings team provides an exceptional management service to our landlords and is headed up by Karl Baxter with over 27 years industry experience. Karl is joined in the team by Joe Riley, Samantha Wright, Jeanette Hall, Natalie Dearden, Katherine Green and Kevin McGrath. If you require a managed service or let only service and have a single or multiple property give us a call and find out about our service. Karl Baxter also gives specialist advice on building a maximising potential in portfolios. Hunters Estate Agents and Letting Agents Darwen are excited to announce the introduction of the Matterport 3D Showcase, a completely new form of immersive 3D media that invites you to explore a place as if you were really there. This will give you a total sense of how a home fits together. Interested in how our Matterport 3D Showcase will enhance your agency's marketing potential? Call us today on 01254 706471 to arrange a free, no obligation meeting & demonstration. Our extensive marketing package is included in our NO SALE NO FEE contract. Fantastic service. When Karen came round for the valuation visit there was no hard sell to sign up, just information given and then the decision left in our hands. No, they aren't the cheapest estate agent around but you get exactly what you pay for! 7 viewings booked within 12 hours of going online and then sold to the first viewer, full asking price. After we sold, Hunters always kept us informed where we were up to with the process. Leah is so efficient and any queries we had were responded to promptly. Would highly recommend Hunters! 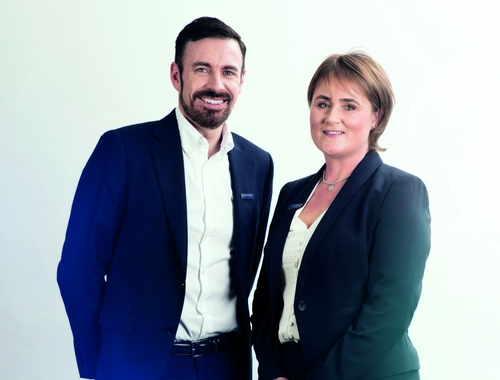 After several previous bad experiences with other estate agents Hunters Darwen were a breath of fresh air. They made the whole process easy and hassle free, costs were fully explained at the start, they arranged several viewings and always confirmed appointments by text or e-mail. . All the staff were friendly and helpful .They kept me fully informed of progress and always followed up each viewing with feedback from prospective purchasers. It was a pleasure to deal with them. Suffice it to say I got a sale quickly at a good price. I heartily recommend Hunters. Well done to them . Click to view preferred suppliers for Hunters Darwen. VAT Reg No: 872 1369 16 | Registered No: 08986836 | Registered Office: 207-209 Duckworth Street, Darwen, Lancashire, BB3 1AU. A Hunters franchise owned and operated under licence by Baxter Helmn Estates Limited. Karl, Co-Founder & Managing Director started the business in 1998. The business became part of the Hunters network in 2014 and has since moved on to be the clear market leader in Darwen and a fast growing business in Blackburn and Bolton. 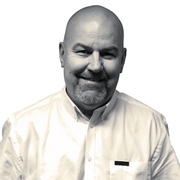 Karl has 27 years in the Estate Agency and has vast knowledge of all aspects of the industry. As a landlord himself, Karl understands the very essence of what clients’ needs are when it comes to lettings and sales. 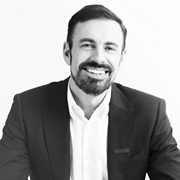 He specialises in helping clients build successful property portfolios from purchase, renovation through to our comprehensive management service. Karl has lived and worked in Darwen for 25 years. 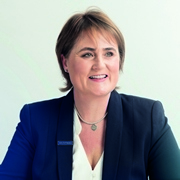 Karen, Company Director and Co-Founded the business with Karl in 1998. Karen feels being customer focused is the most important contributor to the continued and rapid success of the business and ensuring that all aspects of the company put its customers’ satisfaction first. Karen has an unrivalled knowledge of the Darwen market and should be everyone’s first point of contact when thinking of selling their home in the town. Matt joined the Hunters team 7 years ago and has been a big part of the companies’ success. He has a vast knowledge of the local market and carries out valuations across Darwen, Blackburn & Bolton. Matt is also responsible for the outstanding photography and innovative virtual tours on our properties. He has an excellent eye for detail and can market and showcase properties to a different level. Leah joined the Hunters team 3 years ago after successfully completing her A- levels, choosing a career in our fast moving industry ahead of university. Leah has rapidly expanded her knowledge of the Industry, regularly attending the Hunters Academy Training courses and extending her industry qualifications. As a Sales Negotiator she particularly enjoys the relationship building with vendors and purchasers, knowing the importance of communication and is relentless in her approach to Sales Progression. Linda has been part of the team for 10 years. Linda loves the variety the job brings and meeting new people. 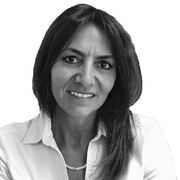 She has an excellent rapport with our clients, making time to listens to their needs in detail. Linda has a great enthusiasm for helping clients find that special home. Maxine’s passion for the property industry has led her to joining the Hunters team in 2017. Max carries out the viewings across Darwen, Blackburn & Bolton. Her many years of experience in the customer service industry shine through to potential buyers and tenants. Jeanette has been here from the very beginning and is the backbone of the office. Jeanette over sees the administrative work of the Lettings team and is just about as organized an individual as you will find, we think she invented the phrase ‘dot the ‘i’s and cross the ‘t’s’. 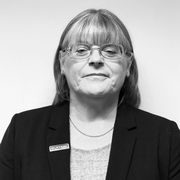 With over 30 years’ experience in the industry in both sales and lettings she has a comprehensive knowledge of all aspects of Estate Agency. Joining Hunters in 2015, Joe also made the decision after successful completion of A-levels to forge a career in the Estate Agency. Joe strives to provide the highest level of service for property owners as well as tenants. 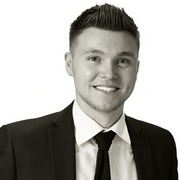 Friendly and professional, Joe is focused and competent dealing with the full let process from the start to the finish His comprehensive knowledge, from advising landlords on how to achieve the best rent through to choosing the right tenants and all aspects of managing a property once let. Joe is renowned for his excellent customer service and tops the national network for service standards. Samantha was thrilled to join our award-winning lettings team at Hunters where she enjoys the fast-paced environment of a thriving office. Sam has many years of experience in the customer service industry and has transferred this skill set to the Hunters team to the great benefit of our clients. 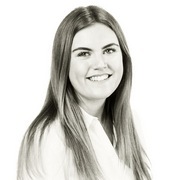 Sam is a natural for the Lettings industry and knows the early bird catches the worm and is usually the first person in attending to client’s issues. 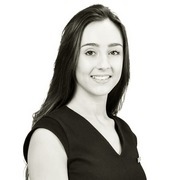 Natalie joined the team 8 years ago and started in Sales but moved over to the Lettings team. 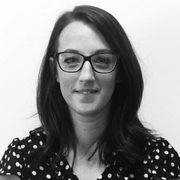 Natalie’s varied roles in the company mean she has the skill set to carry out a variety of responsibilities including inventories, property inspections, viewings and property management. Kevin joined the Hunters team in 2018 after taking early retirement from his post as a senior manager at a Housing Association managing a portfolio of 3000 homes. Our Lettings team are very lucky to gain the vast experience Kevin brings with him. Ellie is our weekend viewer. She is currently studying A-Levels and brings her youth and enthusiasm to the Hunters team. 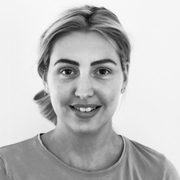 Ellie is already developing a passion for the property industry, which reflects in her work. Darwen is a vibrant market town and along with its northerly neighbor, Blackburn, it forms the Borough of Blackburn with Darwen. It is also known locally as "Darren" and its residents are known as "Darreners". The town has fabulous facilities including recently constructed Health & Leisure Centers and two recently built high schools including the state of the art Darwen Academy, which also includes a sixth form college. The town is blessed with several picturesque parks & woodlands and is fringed by the West Pennine Moors providing an enviable back drop, which features Jubilee Tower, often referred to as ‘Darwen Tower’. The tower was built in 1898 to commemorate Queen Victoria’s Diamond Jubilee year. The town has a vibrant nightlife and constantly increasing restaurant scene, which attracts high numbers of visitors from its larger neighbors of Bolton and Blackburn. There are excellent transport links, with direct trains through to Manchester to the south and through to Clitheroe and the Ribble Valley heading north. Darwen has certainly found the way to balance retaining its heritage whilst embracing a fast developing and modern town. A fabulous place to live!